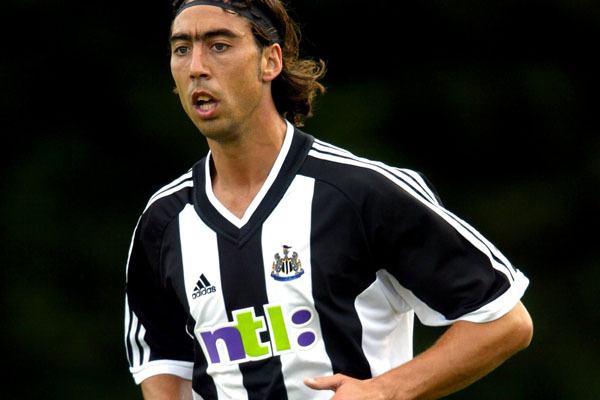 NUFC trio make list of “worst Premier League players ever” – See if you can guess all 3.. – NUFC blog – Newcastle United blog – NUFC Fixtures, News and Forum. FourFourTwo have put together a list of the “worst Premier League players ever” and three former Newcastle United flops have made the cut; Jean-Alain Boumsong, Albert Luque and Marcelino. From FourFourTwo’s ‘top 50’, Boumsong is ranked as the biggest NUFC flop in 17th, with him closely followed by Luque in 18th and Spanish ‘defender’ Marcelino in 27th. All three endured disastrous spells on Tyneside – for a variety of reasons. Luque for one, actually arrived from Deportivo to real excitement, after representing Spain and starring in the Champions League a few years previously. The idea of him playing alongside then record signing Michael Owen, had Newcastle fans dreaming of a return to European football. However, after a torn hamstring keeping him out for three months shortly after joining – Luque never got going for Newcastle and looked well of the pace of English football following his £9.5m move. His only real highlight was scoring the last goal in THAT 4-1 win at the Stadium of Light, but nonetheless, his time at Newcastle was a nightmare. Marcelino spent more time on the treatment table than on the field after his £5.8m move from Spanish side Mallorca. It was a big outlay for Newcastle at the time but 17 appearances in 4 years meant it turned out to be a colossal waste of money for United – he didn’t even play once during his last two years at the club. He moved to the Spanish second division for a season before retiring, which perhaps another reason why he should be higher than Boumsong and Luque on the list. “Boumsong was an example of a player who couldn’t cope with the Premier League. Signed in 2005 on the basis of an impressive but brief spell at Rangers – and for a significant £8m – a strong initial impression at Newcastle descended into a slew of problems, red cards, costly slips and miscalculations. “Newcastle certainly had a thing for dodgy centre-backs. To be fair to Marcelino, he had been a big part of Mallorca’s late-90s resurgence before being signed by Ruud Gullit in 1999 (for all of £5.8m) and there was no reason to believe that he would one day end up on a list like this. “The facts surrounding his time at the club remain unclear. Depending on who you ask, he was either a layabout permacrock who would do anything to avoid actually playing, or a prisoner to his own contract whose career was sabotaged from within the organisation itself.